The UK Health & Safety Executive states that any demolition or structural alterations and removals must be carefully planned and carried out in a manner that prevents danger. 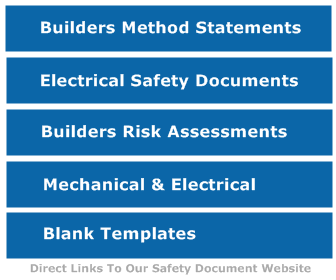 All persons involved from design to workers must be competent and aware of the risks and carry out the works after carefully assessing the risks and working to an agreed method statement. To reduce the risks of falling materials injuring pedestrians, traffic and workers, hoardings, covered walkways, establish exclusion areas, use long reach excavators with reinforced cabs. Uncontrolled collapse risks can be reduced by careful examination of the structure before and during demolition works, temporary propping and exclusion areas can be used as part of the risk reduction. Noise and vibration risks can be reduced by the use of PPE (ear defenders) as well as the selection of tools with reduced vibration. Hazardous materials, These can be chemicals or asbestos, the building should be examined by professionals prior to any works starting and any chemicals that need removing should be COSHH assessed and if asbestos is suspected or known to exist then a licenced professional company should be contracted to safely remove the asbestos. Existing services such as gas, electrical and water must be fully disconnected prior to works commencing, attention should be paid to adjacent services and overhead cables, works should be carefully planned to avoid contact or damage to these. Fire risk during demolition can be reduced, combustible materials should be separated and removed off site and not left in large piles (timber etc). Fire Risk assessments should also be carried out before the works commence. Untrained workers should not be employed in dangerous or potentially dangerous areas, All workers should be trained and those with little experience should be closely supervised by an experienced person.